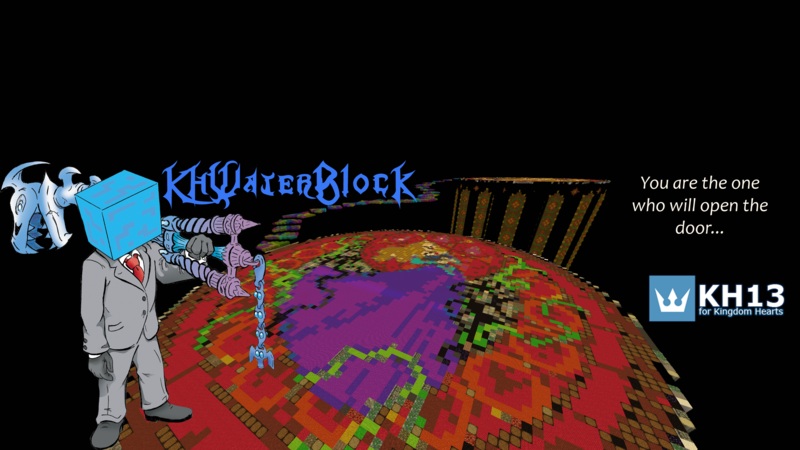 KHWaterBlock had the most liked content! Wrote over 50 news articles. Contributed over 1,000 images to our gallery. 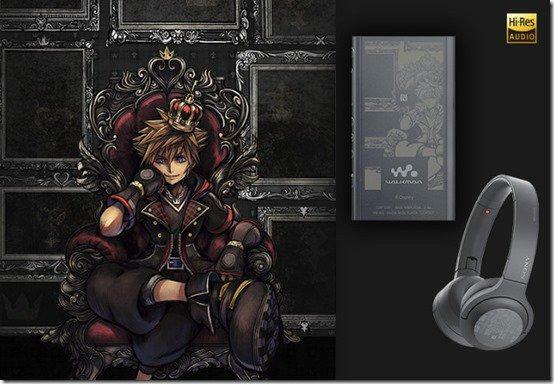 Originally announced earlier last month, the Kingdom Hearts III edition Walkman and h.ear headphones are set to release for a limited time starting in late March up until April 19. The device ships with a 16gb hard drive and comes pre-loaded with "Face My Fears" Japanese Version by Utada Hikaru and "Chikai" by Utada Hikaru. It's releasing around the end of March for ¥28,880 yen and is available for pre-order here. The hard drive can be extended to 144gb through the use of optional MicroSD cards. 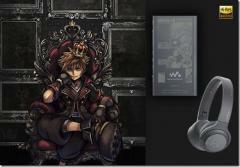 As well as the Walkman, the Kingdom Hearts III Edition h.ear on 2 Mini Wireless headphones are releasing at the same time until April 19. 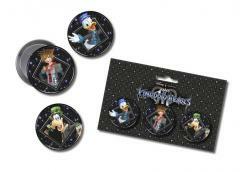 They're available for pre-order here for ¥24,880 yen. 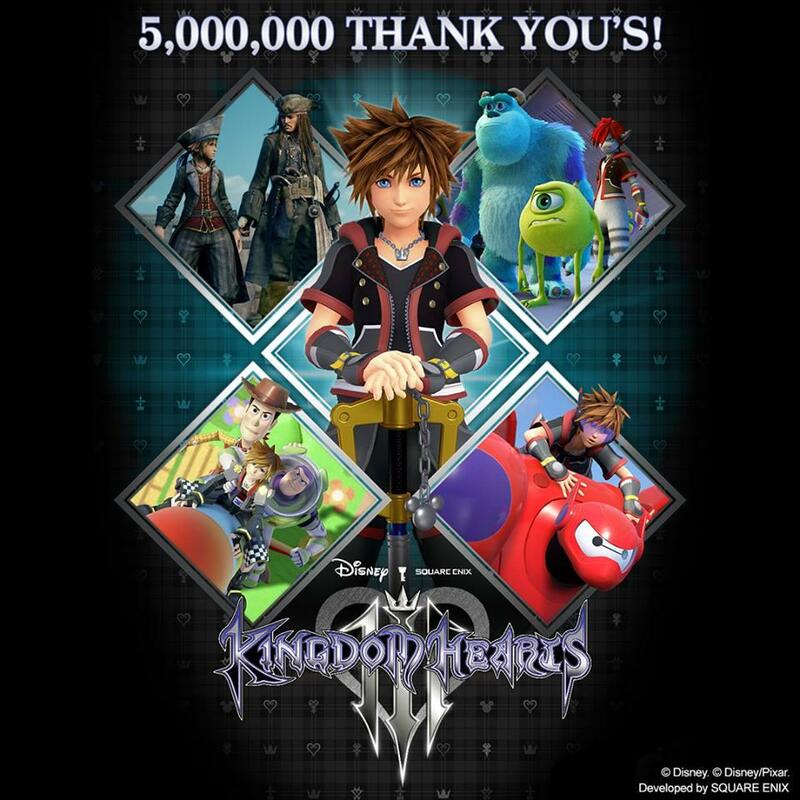 A press release came out today showing that <em>Kingdom Hearts III</em> has shipped five million copies worldwide, making it the fastest selling game in the franchise's history. </p> <blockquote class="ipsQuote" data-ipsquote=""> <div class="ipsQuote_citation"> Quote </div> <div class="ipsQuote_contents"> <p> <span style="background-color:#ffffff;color:#666666;font-size:13px;text-align:left;">SQUARE ENIX® proudly announces that<span> </span></span><strong style="border:0px;color:#666666;font-size:13px;padding:0px;text-align:left;vertical-align:baseline;"><em style="border:0px;font-size:13px;padding:0px;vertical-align:baseline;"><u style="border:0px;font-size:13px;padding:0px;vertical-align:baseline;"><a href="http://www.kingdomhearts.com/" style="border:0px;color:#b10000;font-size:13px;padding:0px;vertical-align:baseline;" rel="external nofollow">KINGDOM HEARTS III</a></u></em></strong><em style="border:0px;color:#666666;font-size:13px;padding:0px;text-align:left;vertical-align:baseline;">,<span> </span></em><span style="background-color:#ffffff;color:#666666;font-size:13px;text-align:left;">the latest mainline entry in the beloved action RPG series, has shipped more than five million units globally, both physically and digitally, across all platforms since its January 29 release, making it the fastest selling game in the history of the series.</span> </p> </div> </blockquote> <p> You can check out the full press release <a href="http://press.na.square-enix.com/releases/1362/kingdom-hearts-iii-becomes-fastest-selling-game-in-franchises-history" rel="external nofollow">here</a> talking more about the announcement. The image they included on their social media can be seen below. <a class="ipsAttachLink ipsAttachLink_image" href="https://www.kh13.com/uploads/monthly_2019_02/51168224_10156055181115841_2724443106136031232_n.jpg.730a68c5b653d546aee42c031b289077.jpg" data-fileid="11349" data-fileext="jpg" rel=""><img class="ipsImage ipsImage_thumbnailed" data-fileid="11349" data-ratio="100.00" width="750" alt="51168224_10156055181115841_2724443106136031232_n.thumb.jpg.bd079da89564947792a278257e0fdc4f.jpg" data-src="https://www.kh13.com/uploads/monthly_2019_02/51168224_10156055181115841_2724443106136031232_n.thumb.jpg.bd079da89564947792a278257e0fdc4f.jpg" src="https://www.kh13.com/applications/core/interface/js/spacer.png" /></a> We want to thank everyone at the <em>Kingdom Hearts</em> team at Square Enix! 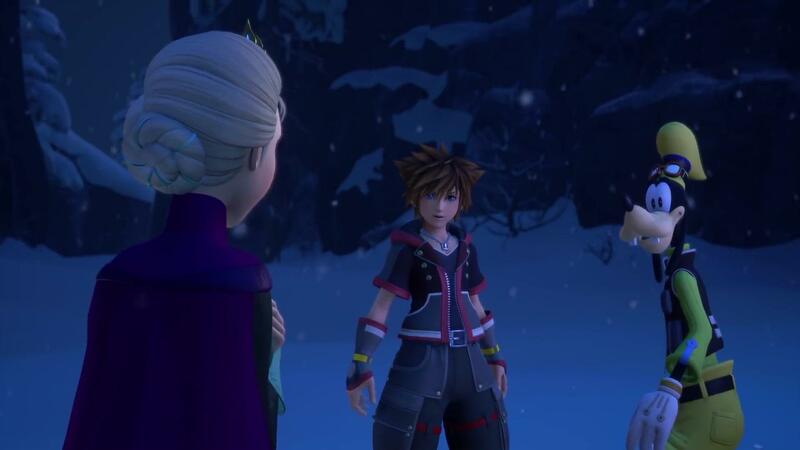 At the PlayStation Lineup Tour last September, a surprise announcement for a free Kingdom Hearts VR interactive movie surprised everyone. The trailer showed off the player swinging their Keyblade at some shadows in familiar locations, however, this was not the case for what released. After being delayed twice, fans who own a PSVR were getting impatient. Currently, it is exclusive to the Japanese PlayStation store which makes it a bit difficult for most fans to experience. A worldwide version has been confirmed, but so far no current release date has been announced. Now the question rises, was it worth the wait? Once it's booted up, you're greeted with a title screen with two options: Start Collection Collection is currently unavailable and won't be until Spring, when the second part is expected to release. Start brings you to a new menu showing off a world selection screen. Since it's just a preview, only Gummi Ship and Destiny Islands were available, with a "coming soon" spot for Twilight Town. It was very weird seeing Twilight Town in the coming soon section, seeing how it was in the original trailer. It is however teased at the end of the Destiny Islands section! Gummi Ship Choosing the first option, you're immediately sent inside the Gummi ship during the cut scene titled "2.9 - The First Volume-" with the Mickey Mouse Club March playing in the background for the intro. You experience the cutscene in a first person perspective as Donald and Goofy talk to Sora inside the cockpit of the Gummi ship. I originally thought this preview required PlayStation Move but it does not. Pressing the trigger on the back of the right Move controller does clench Sora's fingers on the steering wheel I noticed, but other than that nothing else seems to work with it. After there's a bit of talking, Sora takes out his Keyblade, points it in front of the ship in the space and opens a portal. Once you shoot through the portal, you enter a kaleidoscope like tunnel filled with scenes from the series. It moves quite slowly, so you can see all kinds of scenes from Kingdom Hearts, Kingdom Hearts Re:Chain of Memories, Kingdom Hearts II, and Kingdom Hearts Birth By Sleep. Strangely enough, Donald and Goofy have completely disappeared so you're in the cockpit all by yourself. I do wish there would be more of an interactive part in this section, but it did it's job. Once you reach the end, you're taken back to the world selection screen. Destiny Islands The second world, Destiny Islands drops you right above the entrance to the backside of the island in the old game engine. 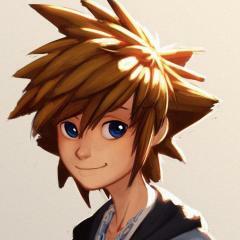 As it fades out and back in, you're in Sora's perspective as he's sitting on the Paopu fruit tree with Riku and Kairi. Riku and Kairi have a bit of a conversation, as they look out at the ocean for a few minutes before a projection light show of Kingdom Hearts Dream Drop Distance's opening starts playing out in the ocean. Destiny Islands was definitely really nice, and the longest of the two for sure. I definitely enjoyed the really pretty light show with the stars that fell down during the experience, and the detail of Riku and Kairi both watching the opening as they move towards wherever the projection currently is. Once the opening ends, it fades out and after a few seconds fades back in at the top of Twilight Town's clock tower. You're able to look around only shortly as it plays a short scene with Roxas, Xion, and Axel talking as they sit at the top eating ice cream before fading out to a "coming soon" screen. Once that scene ends, it concludes the preview for the Kingdom Hearts VR Experience. 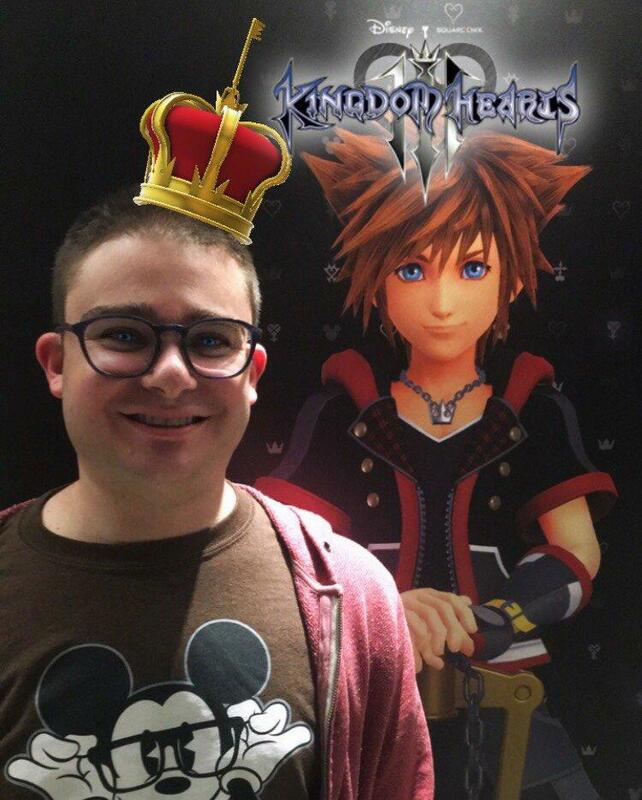 Before jumping into right into the Kingdom Hearts VR Experience and downloading it for yourself, people have to realize that it's not the game that was shown off at the PlayStation Lineup Tour back in September in it's current state. 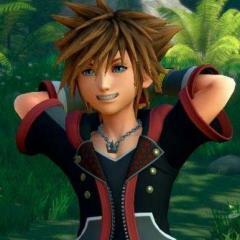 For now, it is merely an interactive video experience where you are put in Sora's perspective in specific locations throughout the series and nothing more. Now to answer the question I stated above, "Was it worth the wait?" I could say both yes and no. 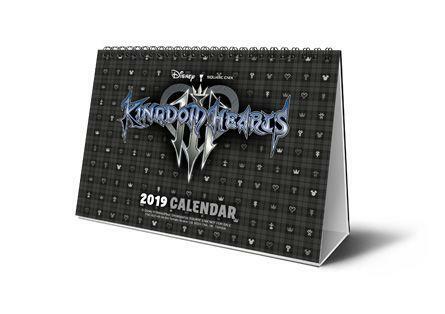 Yes to those who wanted something to experience in VR that's related to the Kingdom Hearts series and understand the fact that the "swinging Keyblade" section has not been released yet and this is merely a preview. I loved the experience not only because I love everything related to the series, but it was really cool being in the pilot seat of a Gummi ship, or sitting on top of the clock tower and looking off just to see how it's like. The reasons I could say it isn't worth the wait was because of how short it was, and it containing barely any content after being delayed twice. With a run time of just 10-15 minutes, it goes by quick without feeling like anything really happened. Being advertised with interactive fighting sections at the reveal, it's easily understandable being upset they weren't included in this preview. Your experience playing it will definitely differ, but it all depends on the person.